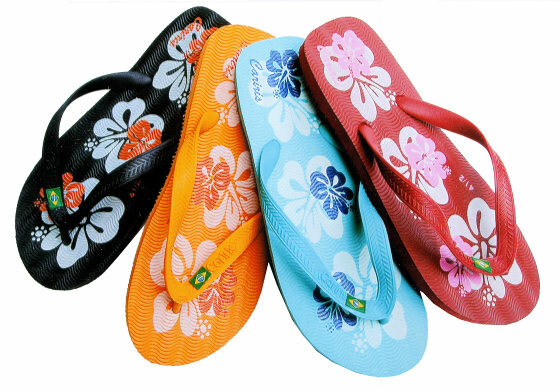 • Shop for flip flops that have the Canadian (or American) Podiatry seal of approval or those that are recommended by foot and orthotic manufacturers such as FootMaxx. Ask or call the office for examples. • Do gently bend the flip-flop from end to end, ensuring it bends at the ball of the foot. Shoes of any kind should never fold in half. In the past few years, with the huge increase in foot complaints from wearing flip flops, there are many foot wear manufacturers that have cropped up that have created stylish flip flops that are more sturdy, have built in arch supports, and more appropriate cushioning. If you are suffering from foot pain, which may or may not have been caused by your footwear such as flip flops, or if you have flat feet, tendonitis, or spend alot of time on your feet, you may be a candidate for custom foot orthotics. Custom Made Foot Orthotics can help with more than Plantar Fascitis…. Foot orthotics allow the muscles, tendons and bones of the feet and lower legs to function at their highest potential. When appropriately prescribed, orthotics can decrease pain, not only in the foot, but in other parts of the body such as the knee, hip and lower back. They can also increase stability in an unstable joint, prevent a deformed foot from developing additional problems, correct improper biomechanics and improve overall quality of life. At our office, we perform various diagnostic tests such as a digital gait analysis to observe your gait and discover any biomechanical abnormalities that may be putting undue stresses on your feet and alignment of your spine. The FootMaxx orthotics that are often prescribed are custom-made for your feet, sport-specific to your activities and designed to accommodate for different shoe types. Often people will have Extended Health Insurance benefits that cover the cost of orthotics. Please check your individual health benefits package. Custom made sandals are also available for summer with the orthotic component built into the sandal. 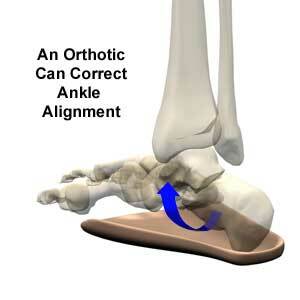 Call our office to schedule a foot check up, or gait analysis to see if custom orthotics might be right for you. Posted in Articles and tagged back pain, Bottom of Foot, Bunion, chiropractor, Custom, custom foot orthotics, Fascitis, Flip Flops, Foot Health, foot pain, Heel Spur, Hip Pain, inflammation, joint pain, Knee Pain, Leg Pain, Low Back Pain, osteoarthritis, Plantar Fasciitis, Sore Feet, yaletown clinic by The Back Doc. 2018 Welcome to our Blog! Can Posture Affect Your Breathing? Chiropractic care may help!